One of the most common questions I get asked is: What are you currently reading that’s good? Why is it that some companies seem to connect with the market…while others, with more budget, better products, and better position seem to struggle for years to get a foothold in the marketplace? Your market is more crowded than ever. More people and competitors are vying for your customer’s attention than ever before. History has shown, it is no longer those with the largest ad budget that win. Those able to make an authentic connection with their market win – every time! According to Todd Henry, identifying your authentic voice is the most important work you’ll ever do. And fortunately for you and me he details a step-by-step process for doing just that. 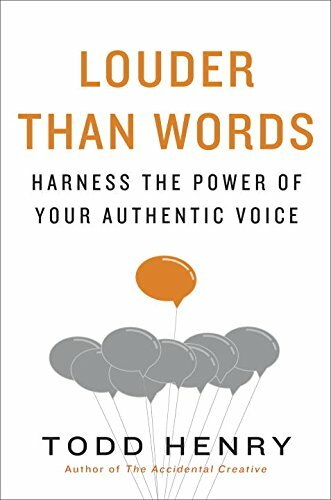 Louder Than Words is full of practical exercises to not only help you identify your authentic voice, but help you develop it, and then broadcast it to the world. If you’re looking to make a more meaningful connection with your audience you need to order this book today. If you’re not failing, you’re not doing much! Society runs from failure…tries to cover up mistakes….and avoids anything that could possibly lead to failure. And yet, to succeed as an entrepreneur, we have to do the exact opposite. More often than not, it’s failure that leads to success. 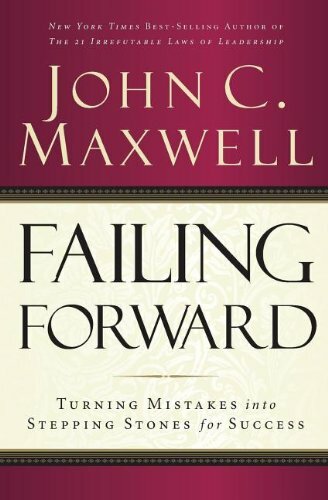 In Failing Forward, John C. Maxwell, provides us with powerful reminders of exactly how prevalent failure is on the journey to success. Failing Forward is full of the behind the scenes stories of some the biggest success stories of the last 100 years. If you’re like me, you’ll be surprised by number of failures that were hidden behind these successes. If you’re dealing with a failure (not sure of too many entrepreneurs who aren’t), this book will provide you with a framework for making the most of your failure. Are you looking for a simple, yet powerful, management process? If so, you’ll definitely want to pick up a copy of The One Minute Manager. It’s an easy to read that reveals three very practical secrets: One Minute Goals, One Minute Praisings, and One Minute Reprimands. 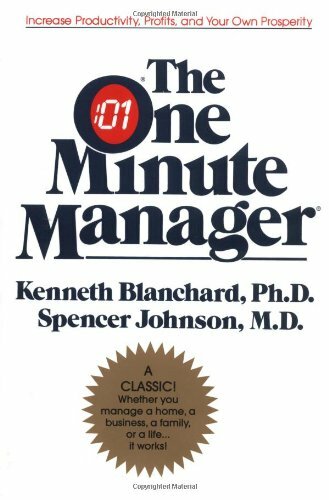 If you manage people, this should be the first book you read. What’s holding you back? Maybe, just maybe, it’s that your dreams and goals aren’t big enough!? The authors divide the book into three parts in order to make a strong case for taking your dreams and goals beyond what you believe and feel is possible. Part One: focuses on the exponential technologies that are disrupting today’s Fortune 500 companies and enabling upstart entrepreneurs to go from “I’ve got an idea” to “I run a billion-dollar company” far faster than ever before. 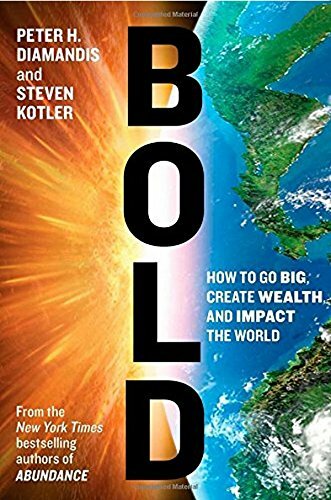 Part Two: focuses on the Psychology of Bold, drawing on insights from billionaire entrepreneurs Larry Page, Elon Musk, Richard Branson, and Jeff Bezos. Part Three: closes with a look at the best practices that allow anyone to leverage today’s hyper-connected crowd like never before. Here, the authors teach how to design and use incentive competitions, launch million-dollar crowdfunding campaigns to tap into ten’s of billions of dollars of capital, and finally how to build communities—armies of exponentially enabled individuals willing and able to help today’s entrepreneurs make their boldest dreams come true. Have you tired of mediocre growth? Ready to make an impact on the world? Want to know the common traits and beliefs that have resulted in some of the most successful organizations in the world today? Grab this book…or better yet, let it grab you. A wonderful look behind the scenes of the most successful company in American history, and the man who built it. Throughout the book, Sam shares stories of the trials and triumphs experienced during the process of building what would eventually become the largest company in America’s history. Full of practical advice, and insight to the commitment and determination required to achieve anything of significance. Sam ends the book with his 10 Rules for Running a Successful Company. All 10 are worthy of study, however, Rule 10 is worthy of particular study. RULE 10: SWIM upstream. Go the other way. Ignore the conventional wisdom. If everybody else is doing it one way, there’s a good chance you can find your niche by going in exactly the opposite direction. But be prepared for a lot of folks to wave you down and tell you you’re headed the wrong way. I guess in all my years, what I heard more than anything was: a town of less than 50,000 population cannot support a discount store for very long. Question: What direction are you swimming? Why wouldn’t you read it? 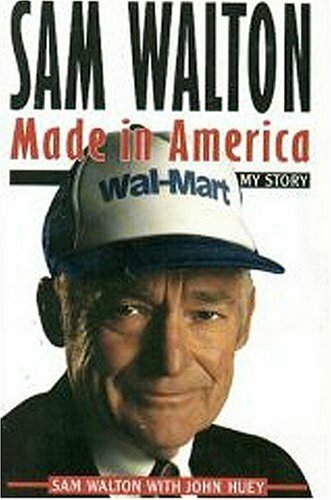 A behind the scenes account from the man who built the most successful company in American history. Grab a copy today. Do your best initiatives and ideas always seem to die? Only to be proceeded by new ideas and initiatives that eventually meet the same fate? 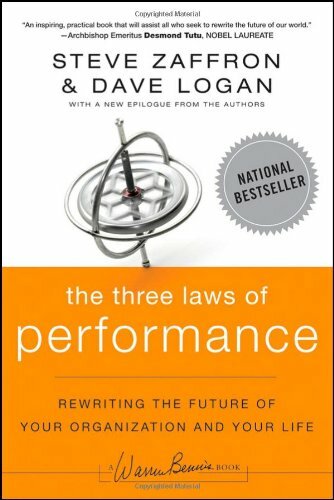 In the three laws of performance, the authors not only explain why so many great ideas and initiatives die, but how to radically alter your future and the future of your organization. Big claim, right? It is, but I can say it’s one the book lives up to. This book is a wonderful combination of both theory and practical (and proven) application. As cliche’ as this will sound, but it’s absolutely true….if you’re ready to radically alter your future – get this book – today! 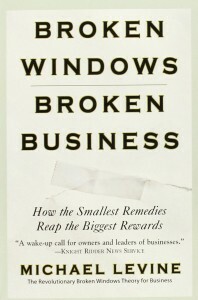 Author Michael Levine offers compelling evidence that problems in business, large and small, typically stem from inattention to tiny details. Social psychologists and criminologists agree that if a window in a building is broken and left unrepaired, soon thereafter the rest of the windows will be broken – and the perception will build that crime in that neighborhood is out of control. The same principle applies to business. The author proves again and again how constant vigilance and an obsession with detail can make or break a business or a brand.” “With tips and advice on changing any business to one that dots its i’s, crosses its t’s, and attracts more clients, Broken Windows, Broken Business goes straight to the heart of what makes all enterprises successful – the little things that mean a lot. Any and all business owners – period! Grab this book and quickly discover the broken windows that are hindering your growth. 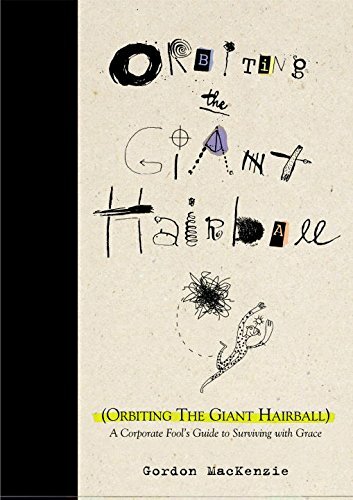 You can judge a book by its cover – at least when it comes to Orbiting The Giant Hairball by Gordon MacKenzie. As you can gleam from the cover, this is a fun, insightful, and inspiring read. Gordon spent 30 years working for Hallmark Cards, serving in many different roles during his tenure. One of the underlying themes of the book is the constant struggle between corporate growth (business systematization) and staying on the cusp of creativity. If you read it for nothing else, it’s worth learning how he was able to have his job title changed to Creative Paradox. If you consider yourself a creative you owe it to your future to read this one. Also a great read for the more analytical thinkers, as it will help you maintain perspective between systems and creative freedom. Before I finished reading the introduction, I was asking myself why I hadn’t read this book sooner? This book is chock-full of wisdom and practical ideas for becoming more effective both professionally and personally. All too often books are great at providing new theories and concepts, but not so great at showing the practical application. That’s not the case with this book. 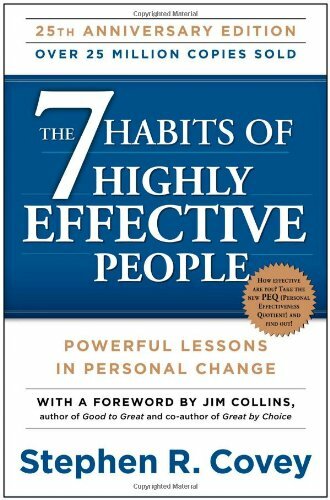 Stephen Covey does a fantastic job of providing real world examples of how to apply each of the 7 habits. Everyone! This book provides a powerful (and proven) framework becoming more effective at whatever it is that you do. 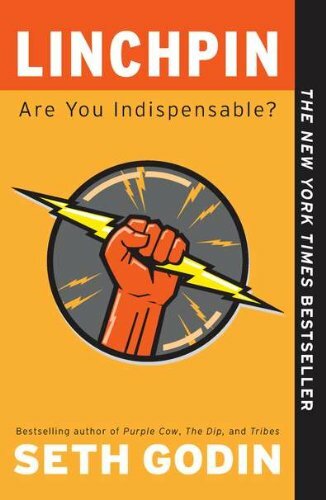 It doesn’t matter if you’re a student, a parent, CEO, or mad-scientist…this book is certainly worth reading! Order your copy today. Gather successful people from all walks of life-what would they have in common? The way they think! 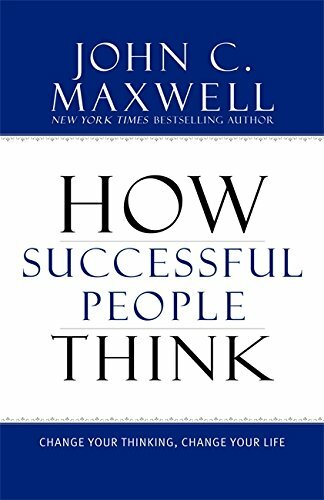 Author John C. Maxwell will teach you how to be more creative and when to question popular thinking. You’ll learn how to capture the big picture while focusing your thinking. You’ll find out how to tap into your creative potential, develop shared ideas, and derive lessons from the past to better understand the future. With these eleven keys to more effective thinking, you’ll clearly see the path to personal success. If you’re ready to change your life…you must begin by changing your thinking. And this book will provide you with a practical framework for doing just that. A quick read at only 72 pages. 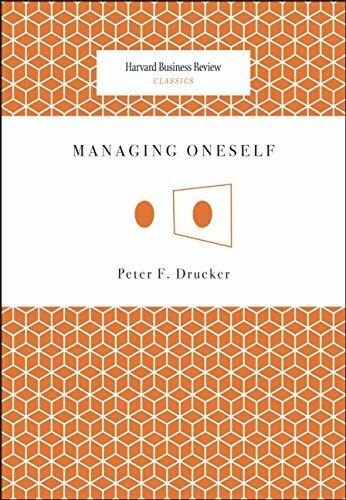 Managing Oneself will help you cultivate a deep understanding of yourself by identifying your most valuable strengths and most dangerous weaknesses. As this book clearly demonstrates, only when you operate with a combination of your strengths and self-knowledge can you achieve true and lasting excellence. A great book for anyone wanting to improve the outcomes they are experiencing in their life. Most of us look at our days in the wrong way: We exaggerate yesterday. We overestimate tomorrow. We underestimate today. The truth is that the most important day you will ever experience is today. Today is the key to your success. 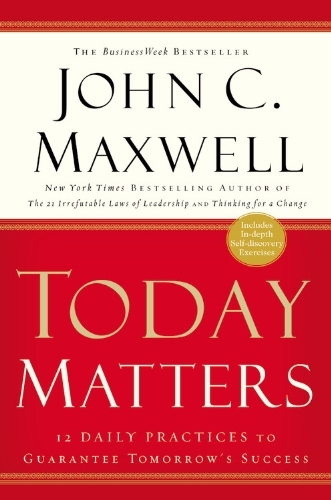 A MUST read for you if you want to discover proven methods for getting the most out each day. The longer I stay involved in the business world, the more clearly I see the impact (both positive and negative) habits have over outcomes. 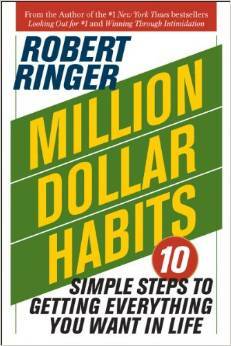 The title of the book has obvious marketing implications, however, Robert Ringer is certainly qualified to speak on this subject. Mr. Ringer made his initial million dollar fortune in real estate, and then, like so many, lost it all. He then spent significant time reflecting on the habits and traits that resulted in his first million dollar fortune. With list in-hand, he again built a multi-million dollar net-worth. If you’re ready to get-tough-with-yourself and discover the simple but vital habits that can change your outlook and lead to big results–personally, professionally, and financially – this book is worth reading. 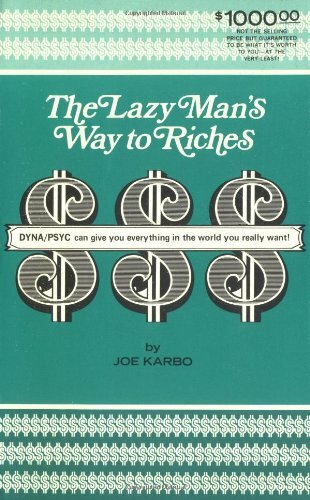 In 1973, Joe Karbo wrote and published this unique personal guide revealing the secrets that gained him a net worth in excess of $10 million dollars (a lot of money in 1973). Joe sold his book only through direct response advertising…a book that sold over 3 million copies without ever being available in a bookstore! If you have any interest in copywriting, this is a MUST read. Not only does Joe cover his DYNA and PSYC philosophies, but he spends about 1/2 of the book detailing how to make money through direct response marketing (aka copywriting). I originally read this book shortly after it was released in 2010, but felt it was time to revisit it. This time around we read it as a team at Ugly Mug Marketing. The heart of the book is about giving up on old beliefs and embracing the challenge of being a better you. Seth challenges the reader to embrace the unknown. To fight the resistance that will hold us back and prevent us from stepping out and presenting our gifts to the world. An excellent read for any individual or team who wants to do more…more than expected….more than required. If you said advertising, think again. People don’t listen to advertisements, they listen to their peers. But why do people talk about certain products and ideas more than others? Contagious provides answers to these questions – with the research to backup the answers. The book outlines six basic principles that drive all sorts of things to become contagious, from consumer products and policy initiatives to workplace rumors and YouTube videos. Have a message you want to share with the world? A product or service that can help others? 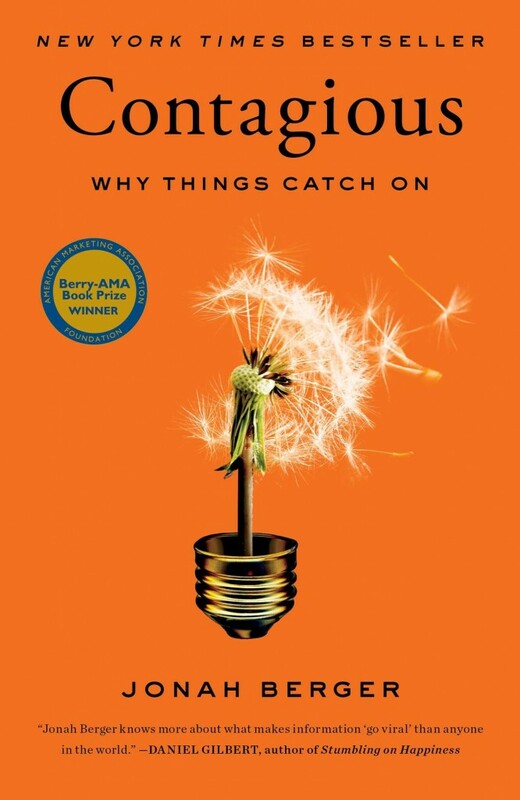 This book provides a proven formula for making your message contagious. For starters, the title really doesn’t do this book justice. The book recounts the author’s personal story – going from constantly being broke and intimidated – to one of the most respected, and successful men in his industry. “The Leapfrog Theory states that a person has no legal or moral obligation or, for that matter, logical reason to ‘work’ his way up through the ranks. It says, in fact, that every person has the inherent right to ‘self-proclaim’ – to announce, at any time he chooses, that he is on any level he chooses to be on. Within the first twelve months of applying his new theories his earnings were over $800,000. If you’d like to hear the behind the scenes story of how someone completely transformed their life in less than twelve months, this is worth reading. I initially read this book in late 2013 at the recommendation of Ari Weinzweig. I reread it as a refresher to help make major transformations in 2015. The book is a mixture of stories and practical advice – all designed to help the reader achieve lasting, revolutionary transformation. 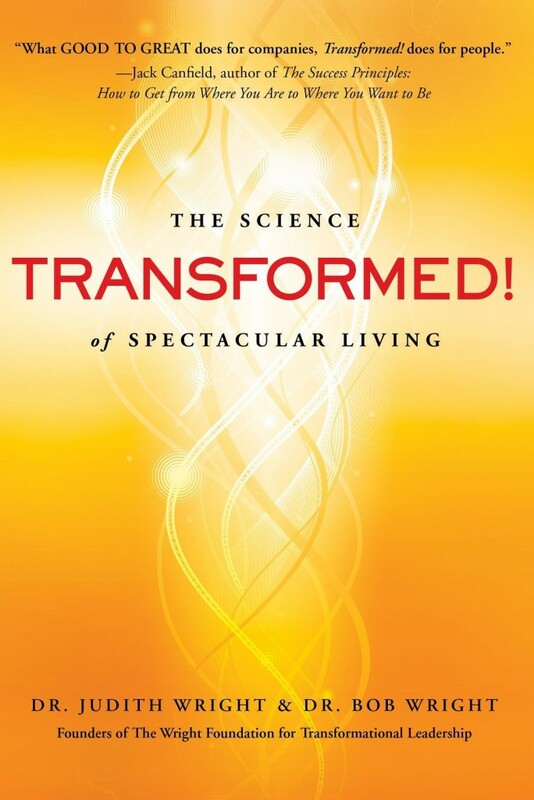 If you’re ready and willing to experience radical transformation in your life, or if you want to get better at helping others experience radical transformation, this book is worth exploring. This book begins with the author candidly sharing the behind the scenes story of building his business. After a mere eight years, he sold his company for $1.65 billion. The first three chapters reveal the “untold” stories; the depression, the constant stress and the angst over decisions that would directly impact the lives of others. These first three chapters are worth the price of the book. The remaining portion of the book is filled with practical application, such as why startups should train their employees; titles and promotions; the fine line between fear and courage; solving the accountability and creativity paradox – and so much more. For entrepreneurs who find themselves feeling stuck in the minutia. 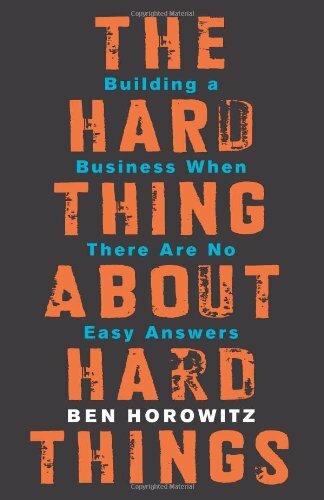 Entrepreneurs struggling to make difficult decisions and entrepreneurs who want to build something of value will find this book very helpful and insightful. 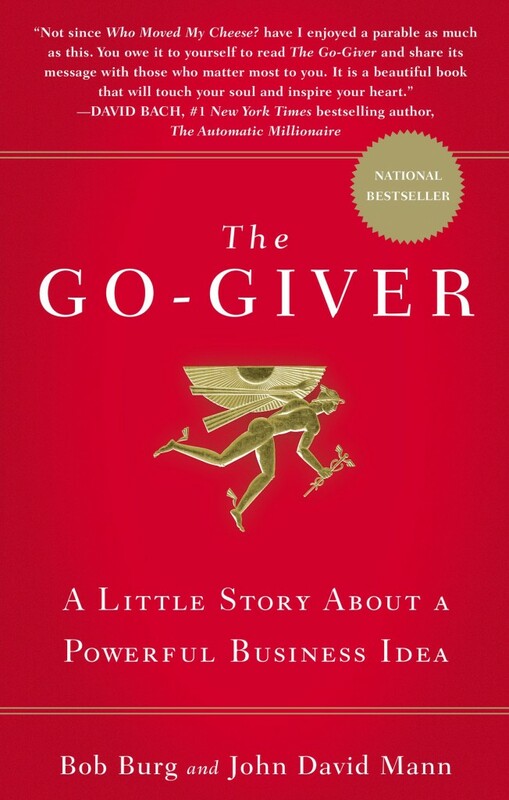 The Go-Giver is an easy to read parable with significant underlying business principles. It’s extremely well written and a quick read. The Go-Giver is centered on the young ambitious go-getter, Joe. Over the course of a week a new mentor shares with Joe the Five Laws of Stratospheric Success. A great read for any entrepreneur or team member. The principles are universal and potentially beneficial to any organization. With a phone in every home and 24/7 connectivity, it seems the world is constantly demanding in each waking moment of our day. More commitments. More obligations. And less time for both. The solution? Become an essentialist. Perfect for the overworked, overwhelmed, and overly tired entrepreneur. 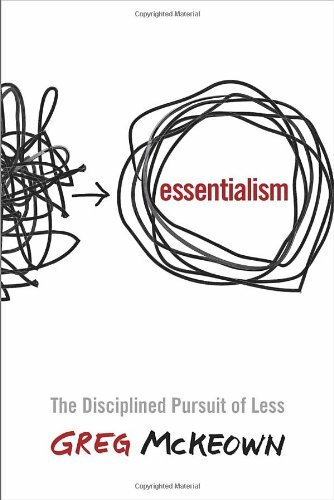 Essentialism provides a wonderful balance of conceptual and tactical ideas. Excellent! 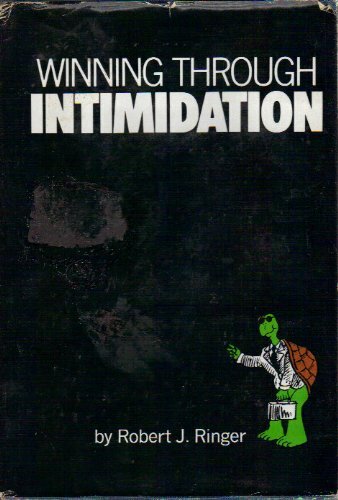 Unexpectedly, Michael Jackson, Inc. became one of my all-time favorite books. It is a perfect blend of biography and applicable business advice full of hidden gems for entrepreneurs at all levels. 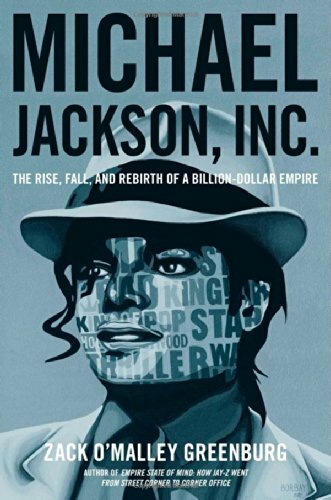 From branding to goal setting, structuring deals, to work ethic, this book reveals not only Michael Jackson’s philosophy, but how he actually lived it. Entrepreneurs, music lovers, biography lovers, and anyone interested in behind scenes stories of the most successful musician of all time.